Yes, that would be another foot plus of snow. It looks pretty (for a couple of hours) until you get that barbecued steak craving that I was talking about. 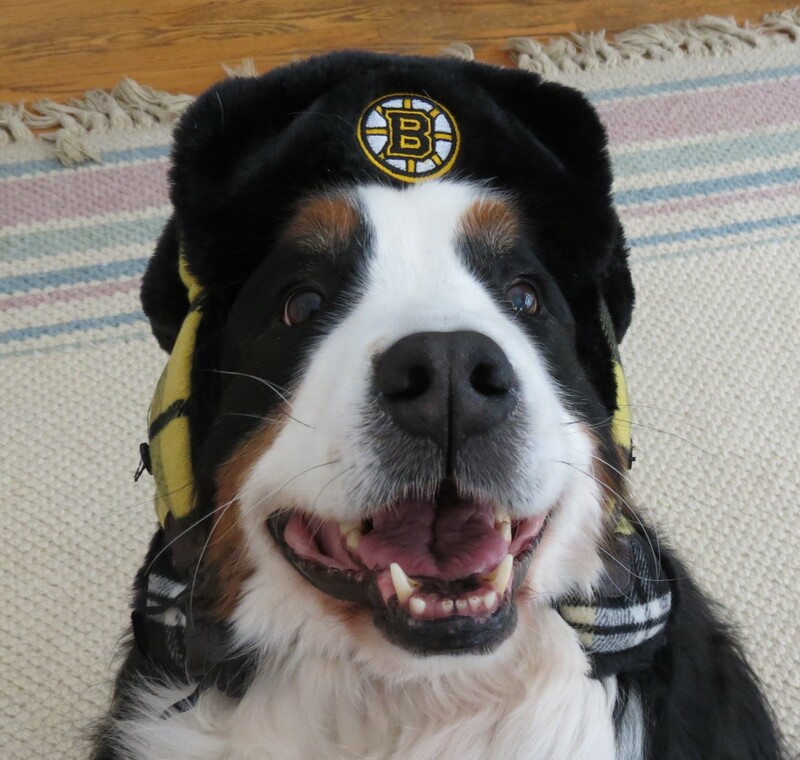 At which point you let the dog make a path to the grill, and like John, put a hat on yourself (and your dog if you’re getting a little cabin fever)…. Not a great picture and certainly not “the money shot” that Trixfred30 over at Happiness Stan is always looking for, buy hey it was a cold dash from the grill to the house and you can’t let a good steak get cold. Putting aside the winter blues , two wonderful blogging friends have nominated “The Table” for more awards and I want to thank them for lifting my spirits. I hope that you all to stop by their blogs to appreciate real talent. For a truly enjoyable and inspirational food journey, swing by to say hi to Mandy at The Complete Cookbook – she not only has many interesting food ideas and beautiful photography but very handy conversion information that I use when I try recipes from other countries. Of course I still adore Mandy even though it’s summer in South Africa…I’m not resenting that at all…really. Mandy, thank you for the lovely Reader Appreciation Award, I’ll take roses any day! 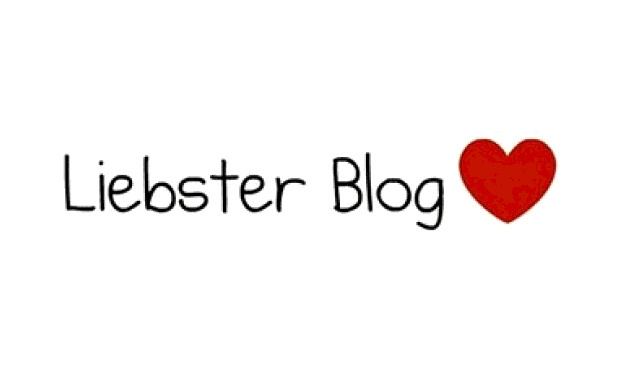 A big thank you to While He Was Out for nominating me for the Liebster Award. Just take a look at this link for No Bake Mulberry Cheesecake for inspiration. I feel sorry for her co-workers who missed their birthday celebration. * Bam’s Kitchen is now at a new address…nah, she’s still personally in Hong Kong but take a look at her beautiful new site. As a matter of fact I’m going to give her South African Bobotie a try in a few minutes. * World traveler and avid cook, Susan at Our Kitchen Inventions is enjoying her Atlanta spring while I’m still shoveling but she does meet some interesting characters in her travels. This guy might lose his chestnuts but he’s definitely not stressed when he goes home. * If you have a sweet tooth as I do, take a look at the creations on Butter, Sugar, Flowers – I only wish that I had the talent to make something look this beautiful…Buttermilk Rosewater Cupcakes. No matter what your personal preferences, you’ll always get some alternative suggestions for her ideas. * I always enjoy stopping by Danny’s at 1227 Foster but take a look at his Creamy Prosciutto Pasta. I’ll say it one more time – check out all of his Mac & Cheese variations – the man is a genius. * Russian Mom Cooks…While Chasing Kids is a fantastic place to stop for very unique, Russian inspired cooking ideas. I’m not sure how Anastasia does this while chasing kids, but somehow she manages to keep it all together. * If you love a great laugh, well researched food info as well as some excellent down home cooking, be sure to tell Adam at The Unorthodox Epicure that I said hello. I can’t guarantee what he might be writing about on any given day – you might hear about his former Cruella DeVille boss, food labels, or shoppers in pajamas – but you’ll always get a solid meal idea. Happy New Year to all of my friends and readers and all of my readers who have become friends. I’m a little tardy with acknowledging my appreciation for the many awards I’ve received and passing them on, but celebrating the new year is the best way I can think of to thank all of you who have kept me blogging for one year now. As always, thanks to my wonderful daughter, Niki for pushing me over my own personal cliff by pre-announcing this blog to her Facebook world and jumping in with her own ideas. It’s hard to decide who exactly fits best under each award and all of you, in my opinion deserve every award. I want you all to know how much I enjoy reading your blogs and hope that you keep doing what you’re doing. My first thanks go to Vina’s Delicious Recipes for nominating me for both the Sunshine Aware and the Blog of the Year Award. She’s an incredibly creative and talented lady with a terrific food blog. Please stop by to say hello to her and savor her recipes. I also have Danny, now at his new self hosted website http://www.1227foster.com to thank for the honors of the REALITY and Sensual Awards. I’ve followed Danny since I started blogging and am always impressed with his creative combinations and suggestions. He always seems to pull a meal together like a magician and is certainly willing to experiment. Although he has bazillions of great recipes, I have to send you to him for the best Mac & Cheese in the world. What is one dream you have not completed, and do you think you’ll be able to complete it? To spend months in different cities and other countries to see if I might like to retire there & I don’t see why I can’t. If you could be someone else for one day, who would it be? My dog – what a life! Thank you again to all of my readers for your support and great comments. I appreciate hearing from you and look forward to reading all of your new posts for 2013. Please feel free to pass along the award wealth to recognize and support your favorite blogs.